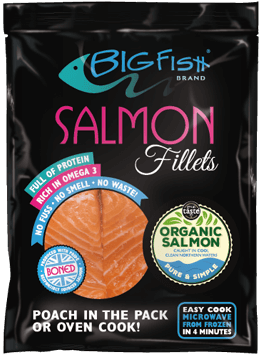 This month we’re delighted to announce the arrival of a range of BigFish products in As Nature Intended. As Nature Intended is a small chain of independent stores which specialise in the best natural and organic foods. Step into the Spitalfields, Chiswick, Ealing High Street or Marble Arch stores in London to track down a selection of our frozen prepared salmon fillets (including Organic), our Lemon & Pepper Salmon Bites and our delicious traditionally oak-smoked salmon in the chiller. More information about locations and opening times can be found on the As Nature Intended website.